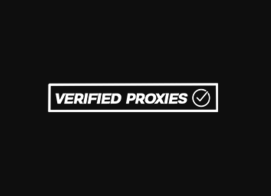 It is very easy to realize what the company named “Verified Proxies” offers. So let’s determine, whether the name is a motto or just a marketing ploy. In store there is only one option: Adidas Yeezy Boost 350 "Zebra". It is very easy to realize what the company named “Verified Proxies” offers. So let’s determine, whether the name is a motto or just a marketing ploy. In store there is only one option: Adidas Yeezy Boost 350 "Zebra". These are Datacenter proxies, that use only USER:PASS auth, location - Ashburn. Some days ago you could have chosen one of four available amounts, but currently everything is sold out. The official Twitter page is silent about the details of future releases.